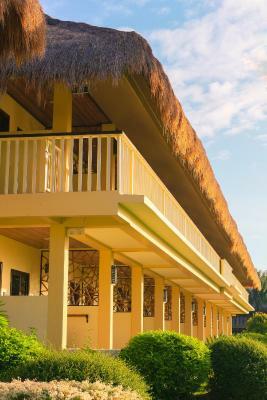 Lock in a great price for Bohol Beach Club – rated 9.1 by recent guests! The breakfast buffet has a great selection and if I may commend April is one of the reasons why we have an awesome experience. 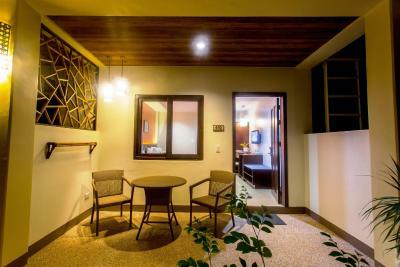 It is already given that the amenities are superb but her effort to consistently go out of her way to make us feel accommodated makes the difference. Thanks April! I simply liked everything, the room is clean and spacious, the beach is amazing plus all staff are really kind and friendly. 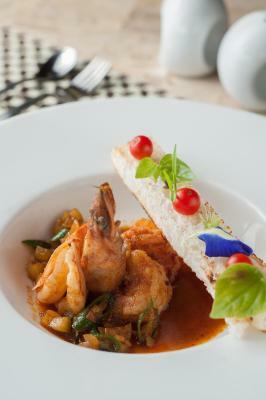 The prices of their food at the restaurant are also reasonable and the food is delicious. Sprawling property with long, beautiful, white sand beach. The resort was excellent, the location was amazing on the beautiful beach. The breakfast was great, good selection for all cultures, staff made this hotel, they couldn’t do enough for you. Massage facility on site, also the drinks/food reasonably priced for a hotel. Great hotel, comfy beds, nice bedrooms, amazing staff! The garden is very well-kept, the beach is amazing, the restaurant is very nice and the staff is great! The best breakfast I had in any hotel in Philippines! The staff was amazing , caring and made us feel like at home. Our son got sick and they had a nurse on call and checked on us throughout the sickness. The beach was amazing and our trip to see the whale shark was wonderful! I liked everything. All the services and programs are convenient. They organize everything for you. The staff was nice. The beach was beautiful, as I saw BBC has the nicest one from all. Amazing stay at Bohol Beach Club! The beach is stunning and hotel grounds are beautiful. The staff went out of their way to help us with anything and always seemed genuinely happy to do so. No other hotel in my 3 weeks of traveling exceeded this place! Loved every bit of it. The resort was beautiful. The pictures offered on websites didn’t do it justice! Each night you were given, or left at your room,a beautiful wish for the next day along with a little cookie for everyone. The resort was very quiet and will maintained! Bohol Beach Club This rating is a reflection of how the property compares to the industry standard when it comes to price, facilities and services available. It's based on a self-evaluation by the property. Use this rating to help choose your stay! 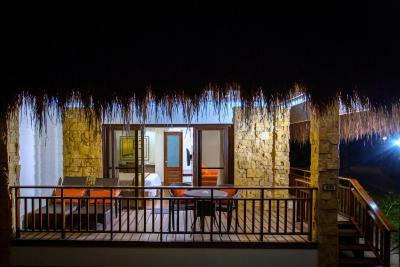 One of our top picks in Panglao Island – and a guest favorite. 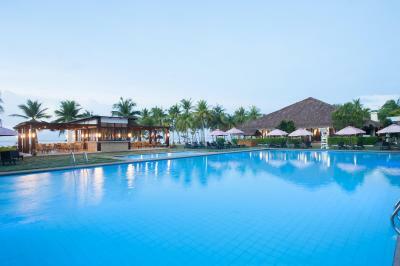 Featuring an outdoor pool, lush green gardens, Bohol Beach Club is a beachfront resort that offers peaceful and comfortable accommodations with free WiFi access in the entire property. 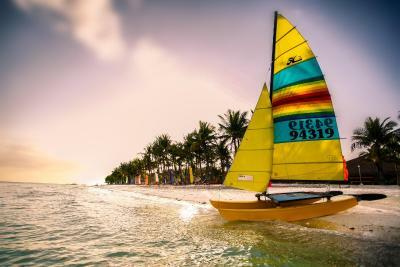 It operates a 24-hour front desk and features a private beach area where activities such as canoeing and windsurfing can be enjoyed. 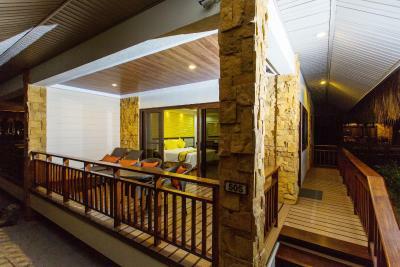 Offering sea views from the balcony, air-conditioned rooms come with a wardrobe, electronic safe, seating area and a flat-screen TV with cable/satellite channels. 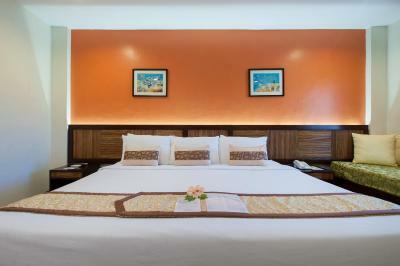 Rooms have a private entrance and private bathroom equipped with shower facility, hairdryer and free toiletries. At Bohol Beach Club, the friendly staff can assist guests with luggage storage, laundry services and sightseeing/tour arrangements. Car rental is possible, while airport transfers and shuttle services can be provided at a surcharge. Housing Agotata Restaurant which serves tasty selection of local and Western dishes with different views and ambiance, guests can also opt for special diet meals upon request while room service options are available. 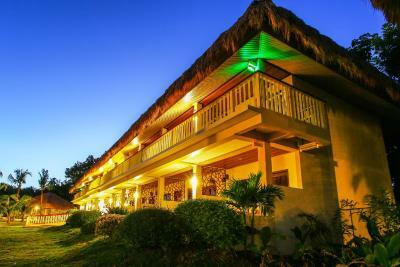 The property is just 0.6 mi from the famous Alona Beach and 1.9 mi from Danao Beach. Mactan Cebu International Airport is approximately 54 mi away. 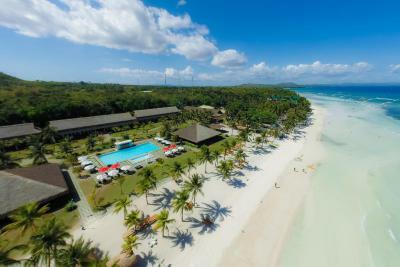 When would you like to stay at Bohol Beach Club? This air-conditioned room features either a patio or balcony with a cozy seating area. 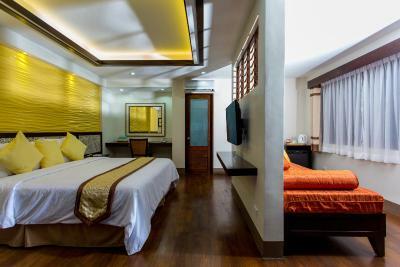 The room is equipped with a flat-screen TV with cable channels, a laptop safe, and a work desk. It also includes a dining table, an electric kettle, and a mini-bar along with a refrigerator. Featuring a private balcony with seating area, this suite is equipped with air conditioning, a day bed, and a flat-screen TV with cable channels. The room also includes a laptop safe, a wardrobe, and a mini-bar. The private bathroom has shower and toilet with bidet. Free toiletries, a hairdryer, and slippers along with bathrobes are also included. 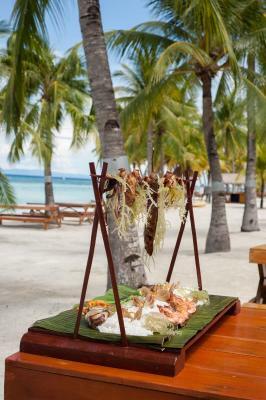 House Rules Bohol Beach Club takes special requests – add in the next step! Bohol Beach Club accepts these cards and reserves the right to temporarily hold an amount prior to arrival. Please inform Bohol Beach Club of your expected arrival time in advance. You can use the Special Requests box when booking, or contact the property directly using the contact details in your confirmation. Aircon in the room was absolutely hopeless & it felt like a sauna for the first night (and only marginally better for the subsequent nights). Very disappointing when you pay so much for a room rate, yet cannot get a proper nights rest. Over-shadowed what was otherwise an awesome stay. It should be definitely rated as 6 star resort! 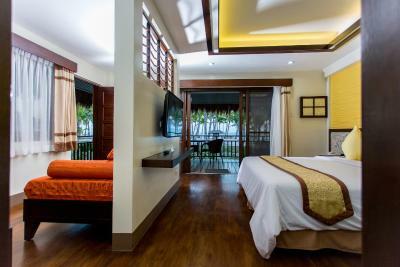 Excellent service, reasonable price, neat rooms, friendly staff and amazing beach, it’s a paradise that everyone should stay for holidays in Panglao! I’ll surely stay here again if I ever come back! The services of the frontdesks/reception. They do not know how to treat customers right. No consideration of not even giving us options in room bookings. They will outright tell you NO!, CANNOT! I booked two rooms. And since we are group of 9 checking in, they ask me to pay 2.5k each for extra persons. I decided to just book another room. And they charge me for extra person each room coz their room is only for maximum of 2. I asked for some options and probably considerations on the rAtes since im spending almost 100k for the rooms. But they said there is NONE! I asked of they can ask the manager but the receptionists said that the manager is not in and will just say the same thing. When we got to the room, the AC of one of the rooms they gAve us was not working. We wasted the whole day fixing it with the front office. I demanded for a refund for that room. Eventually after half a day they agreed. But still i was charged for extra persons who are sharing coz of unavailability of room with working AC. OVERALL OUR STAY ON THE FIRST DAY WAS SPOILT. Just a day wasted!!!! Regarding breakfast, We hAve not finished eating breakfast buffet but they will already bill you out. Its liketelling you to stop eating buffet! They did it for the next few days of our stay. For those who are having good expectations to this resort, i dotn recomment this place. Try Hennan resort coz the facilities are even better Nd customer service is superb. The variety of fruits served during breakfast (and in the menu) is quite limited. Compared to other hotels BBC is also quite pricey (but still worth it). 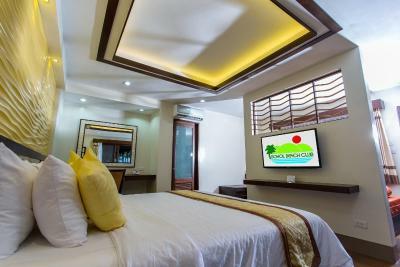 We took our time choosing our hotel in Bohol, and after travelling around Panglao, we definitely made the right choice with Bohol Beach Club. Though Alona beach is more popular, the beach in BBC is a lot better for swimming. Breakfast is also quite good, and room service /front-desk is commendable. Will definitely stay there again. The sea is too shallow! The red wine too expensive and special the selection not our taste! Guest would feel secure and taken care of. They have the nicest and accommodating staff. 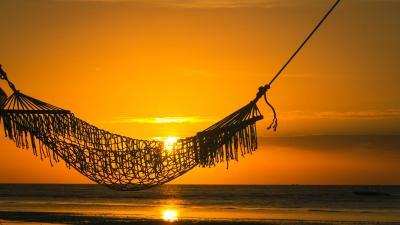 It’s location with its clear waters and fine beach make it superb. No bike rental but you can get one from place right next to it, just get out on the main street and take right, walk 50m and take another right into small alley where you can ask locals for the bike. Probably the best resort on the white beach. Great breakfast and decent restaurant on site. Staff very kind and ready to help you with anything you need. 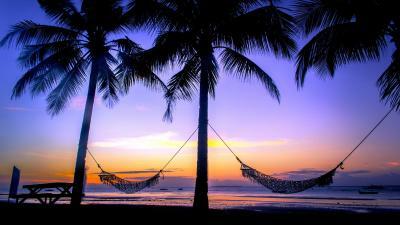 It is a very quiet place with a private beach.